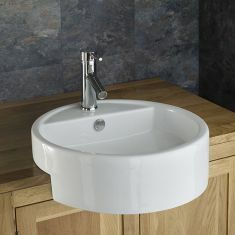 A Semi Recessed Bathroom Basin & Sink is to be mounted onto a shelf, counter top or vanity unit designed for such a purpose. 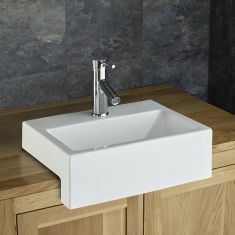 It is designed to fit overhanging giving a practical and neat finish. 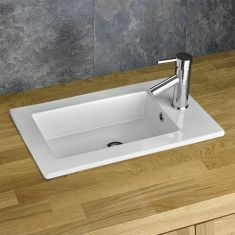 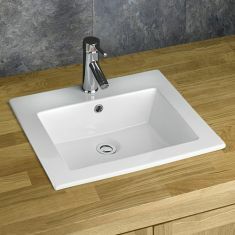 Semi Recessed Basins and Sinks are a great option if a 'finished' neat look is what you are looking for. 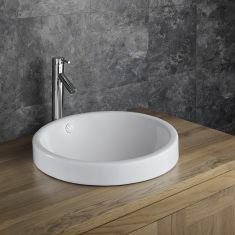 This design of basin proves to be very popular and practical in hotel bathrooms, restaurants, spa and beauty salons and hairdressing establishments. 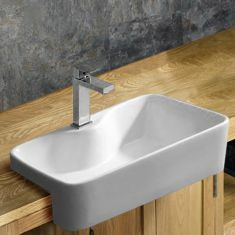 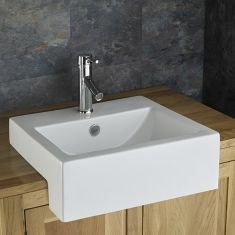 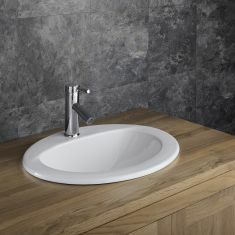 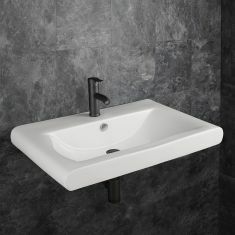 The choice of Semi Recessed Basins mostly are supplied with a single tap hole to allow a top mounting Mono Basin Mixer Tap to be mounted directly on the basin. 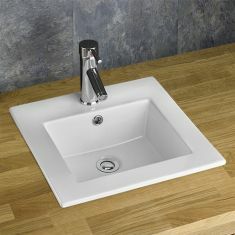 Some come with an integral and neat overflow...alternatively, if not, a Free Flow waste can be used. 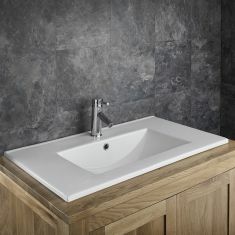 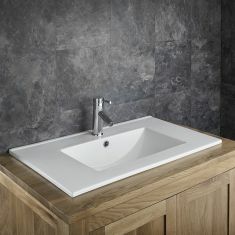 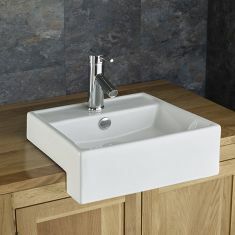 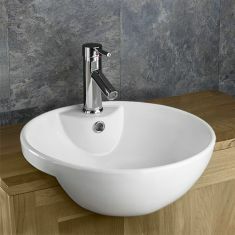 Traditional or modern depending on the setting, that’s the beauty of the Semi Recessed type basin.